I have less than two weeks here in Chicago… I don’t think it has completely hit me yet (which is a good thing because I’ll be a wreck when it does—yikes). I’ve spent much of my time reflecting on all that has occurred over this summer. It is insane to look back and see how much has changed since embarking on this journey through Chicago Semester. This past semester, as I was preparing for my summer in Chicago, I had a meeting with my academic advisor, Dr. Wight. I have the upmost respect for Dr. Wight, as he is wise, passionate, and honest. At one meeting, as we were discussing my reasoning for choosing to live and work in Chicago, he cautioned me: “Maggie, are you sure this is what you want to do? I understand you love this city, but I want you to realize one thing: you will no longer see this city as you have been”. In the moment, I did not fully comprehend what he meant by this. However, the longer I have been here in Chicago, I have seen for myself what he was referencing. What ya’ll may not know about Chicago Semester, which I think may be one of the most important aspects of the program, is that we are required to take courses alongside our internships. During our first few days of classes, which were also our first few days in Chicago, we read a document entitled “Wonder, Heartbreak, and Hope” by Gideon Strauss. 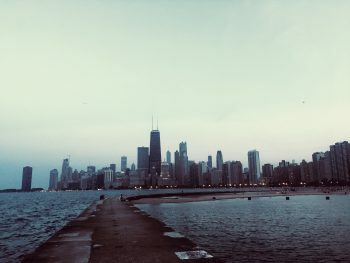 As having just arrived in the city, I was ready to just get out there and explore and really didn’t give all too much thought to how these three terms relate to Chicago (my bad). Now, though, if I were to describe Chicago in three words it would be wonder, heartbreak, and hope. WONDER: I think what draws people to big cities is that they leave you in awe from beginning to end. You can’t ever possibly see and do all that the city has to offer; it always leaves you wanting more. The vast skyline, the hidden gems, the different communities within: each of these make cities, especially Chicago, fulfill your wildest hopes and dreams. You find yourself asking “what else is there I have yet to discover?”. HEARTBREAK: I love this city, and it will always hold a special place in my heart. However, it is a heart-breaking place to be in. As you walk the streets, it is a given you will walk by people who have needs that so desperately need to be met. Exploring different neighborhoods, trying to understand even a sliver of what life is like there, it hurts knowing the challenges residents face every single day that many people, including yourself, have never and will never have to experience. It genuinely hurts to see the pain that is hidden by the beauty of the city. HOPE: I know that when I head back home to good ole Arkansas I will be counting down the days, months, (hopefully not years), until I step foot back in this marvelous place. How wonderful it would be to call this place home, even if it were for but a time as this summer was! But as I leave I am confident that all that is happening here—the work of so many to make this place better than it already is—is going to be fruitful.